The Labour Court was recently required to determine whether the CCMA lacked jurisdiction to entertain an unfair dismissal dispute in circumstances where the parties agreed to refer such dispute to private arbitration. In the matter of Krean Naidoo v Liberty Holdings (JR558/16)  ZALCJHB 56 (19 March 2019), the Applicant, a senior employee, was dismissed for misconduct and subsequently referred an unfair dismissal dispute to the CCMA despite being required to refer his dispute to private arbitration. At the arbitration before the CCMA, the Arbitrator found that the employee’s contract of employment incorporated the Employee Relations Handbook and as such the Handbook constituted a condition of employment. The Arbitrator found that the CCMA did not have jurisdiction to hear the matter and that the employee was entitled to refer to matter to private arbitration. On review at the Labour Court, the employee claimed that he was never provided with a copy of the Handbook upon commencement of employment; that he never agreed to refer disputes to private arbitration; and that he did not relinquish his right to refer an employment dispute to the CCMA. The employee further claimed that private arbitration meant automatic legal representation and possible arbitration costs as the employer would only pay the initial R30,000. The employee further contended that, in terms of s147(6) of the Labour Relations Act, the CCMA arbitrator erred by not directing that the matter be referred to private arbitration but reminded the employee of his election to refer the matter to private arbitration if he chose to do so. 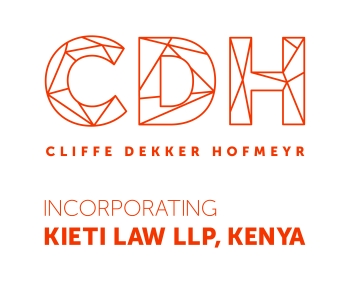 The employer contended that despite the wording of the Handbook, the employer would, according to established practice, pay for all the costs associated with the private arbitration; the chairperson of the disciplinary hearing was one of nine arbitrators and the parties were in a position to choose an alternative; that the rules on natural justice would still apply during the private arbitration and that the employee would be entitled to apply to the Labour Court to review the decision of the arbitrator if he was dissatisfied with the outcome. Ultimately, the employer submitted that the decision to refer the matter to private arbitration in terms of s147(6) of the Labour Relations Act ,1996 lay solely with the Employee and not the CCMA Arbitrator. The Labour Court ultimately found that, as a senior employee, the applicant ought to have understood that by signing a contract of employment which incorporated conditions set out in the Handbook, bound him to the terms of the Handbook. The Labour Court held further, that in terms of s147(6) of the LRA, where the parties are bound by agreement to resolve a dispute by way of private arbitration, the commission may refer the dispute to the appropriate person or body for resolution through private arbitration or appoint a commissioner to resolve the dispute in terms of the LRA. As such, the arbitrator was correct in finding that the decision to refer the matter to private arbitration (or not to refer a dispute at all), lay with the employee once it was determined that the parties were bound by the private arbitration clause. This case illustrates that employees are bound to refer an unfair dismissal dispute to private arbitration, if they have agreed to do so in terms of the contract of employment. The CCMA may not have jurisdiction to hear the dispute and the employee has the choice to either refer the dispute to private arbitration or not at all. It is however important to note that if, at any stage during an arbitration referred to the CCMA or relevant bargaining council, it becomes apparent that the matter ought to have been referred to private arbitration, the CCMA has the discretion to either refer the dispute to the relevant private arbitration agency or to appoint a commissioner to hear the dispute. In circumstances where an employee who earns below the Earnings Threshold of R205,433.30 per annum, the CCMA must appoint a commissioner to hear the dispute if that employee was required to pay the costs of private arbitration or part thereof.